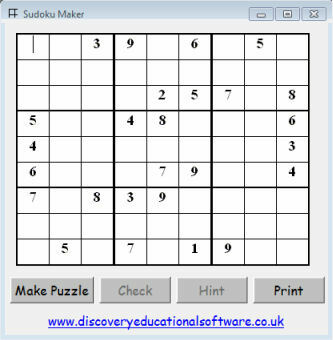 A simple program for practising addition, subtraction, multiplication and division. 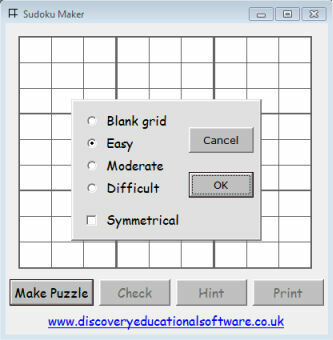 Creates original Sudoku puzzles for you to print out or solve on screen. 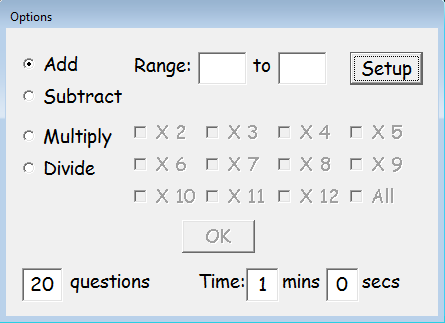 Use it to solve a puzzle from a printed source. 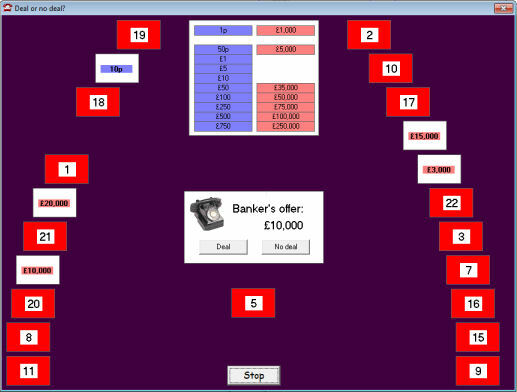 Software version of the popular Channel 4 game where 22 boxes contain 22 different sums of money. Goods will normally be dispatched on the day the order is received, or the first working day thereafter. Orders to UK addresses will be sent 2nd class mail. Overseas orders will be sent standard airmail. Goods found to be unsuitable may be returned to us within 15 days of purchase. A full refund, less postage costs, will be made. If there is a problem with any software which cannot be resolved, a full refund will be made. Discovery Educational Software can in no event be liable for any consequential damages beyond the purchase price. We at Discovery Educational Software are committed to protecting your privacy as an internet user whenever you buy, or consider buying, our software. For on-line payments we use the services of PayPal. The only details of a transaction we receive from PayPal, are the name and delivery address, the item(s) ordered and the total amount paid. We do not have access to any card information whatsoever. For more information visit www.paypal.com. We do not allow any third party access to your contact details. We do send occasional e-mails about free upgrades and new titles. Should you wish to stop receiving these, there is a simple unsubscribe link in every e-mail. Our site licence allows you to copy the software onto a network or onto an unlimited number of free-standing machines, or to make duplicate copies of the CD-ROM, all for use within the specified establishment. 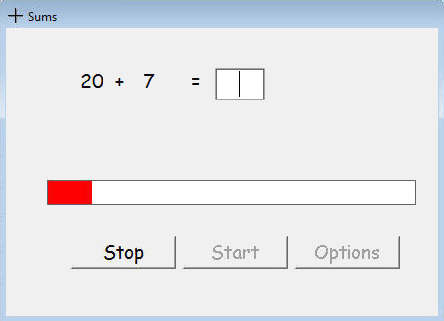 It also allows teachers to install the software on home computers for use in connection with the licenced premises. The prices include one CD-ROM. A copy of the site licence is available on request. Click "Buy" next to the chosen title. If you wish to order more than one title, click "Continue shopping" or use your browser's Back button. When you have finished selecting, click "Basket" or "Checkout". Complete the Name and Address section and continue to the payment page (See 'How to Pay'). Continue until your order is acknowledged. If you are buying a registration code for downloaded software, ensure that you click "Return to Discovery Educational Software" after payment. Payment may be made online using a credit / debit card, or by Paypal. The Invoice option is available to UK schools and nurseries only. Use the "Additional Information" box if you have an order number. All other customers must pay for the goods before they are dispatched.